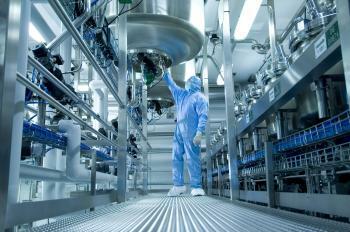 Sandoz is a global leader in generic pharmaceuticals and biosimilars and a division of the Novartis Group. Our mission is to discover new ways to improve and extend people’s lives. Sandoz contributes to society’s ability to support growing healthcare needs by pioneering novel approaches to help people around the world access high-quality medicine. That is our purpose. Our global portfolio comprises approximately 1 000 molecules, covering all major therapeutic areas, which accounted for 2015 sales of USD 10.1 billion. Our broad offering translates into substantial and ongoing savings for patients and payors, which help to ensure the sustainability of healthcare systems in the face of significant budgetary pressures, while also freeing up funding for innovative medicines. Our products reach more than 500 million patients and our aspiration is to reach one billion. Our broad portfolio is spearheaded by our global leadership position in both biosimilars, the “cutting edge” of innovative off-patent medicines, and generic antibiotics, the foundation of global healthcare systems. We also run a broad range of targeted corporate responsibility programs to increase access to medicine, medical information and appropriate medical training for healthcare professionals. Sandoz is headquartered in Holzkirchen, in Germany’s greater Munich area.